Is AppCoiner a Scam? Learn the Ugly Truth Before Joining! AppCoiner claims it is an easy way to help you make money by testing apps and give feedback about them through writing short reviews. But is AppCoiner a scam, or is it a great way to get paid for sharing your opinion? Let me reveal right away that there are many things you are not told, and what you will get is quite different from what the sales page promises. This AppCoiner review will reveal all the details, so you know what you are getting into before joining. What is AppCoiner and what does the site offer? AppCoiner is a bit different from most other sites I review here on PaidFromSurveys.com, as it is not as such a survey or get-paid-to site. It is instead a site where you supposedly can get paid to test apps and review them. As it is still a way to get paid to give feedback and share your opinions, I thought it would still be interesting to test how it works. What I found was VERY different from what I expected. But more about that later. Let’s first go over what the idea behind AppCoiner is. The idea is actually quite simple. Apps need reviews from real users to be found and more positive reviews makes it more likely people will download and use the apps. You can then by joining AppCoiner get access to testing new apps, and get paid to write reviews about them. The supposed easy process on AppCoiner. As AppCoiner itself explains – it is as easy as 1,2, 3. Sounds great to be able to test apps and get paid to share your opinion about them right? It sounds easy and great, but what I found after putting in my email was something very different than an easy process. After you join, the sales pitch really starts. At this point you have already given your email, which means they can contact you with offers, and you are not told what the email will be used for before joining. When I then came to the next page, it became more clear that it was nothing like the free survey and get-paid-to sites I usually recommend and test here. Once you have gone through the whole sales pitch that is on this page, which is full of warning signs I will explain more about later, you finally see it is not free to join. Apparently you have to pay $27 to join and get access to this software to help you make money like this. It turns out you have to pay to join. You are told nothing about this price on the initial website, and I think it is very sneaky to get you to put in your email to join, before you are told there will be a fee. This is definitely a big warning sign. This is however not the only warning sign. There are plenty more, and you need to know what these are, as this can help you find out what the site actually offers, and if it is worth the investment. As already mentioned, AppCoiner has several warning signs including the fact that you are not told there will be a price to join, until after you have given your email to join. It seems like all you need to do to earn on AppCoiner is to test apps and write reviews about them. It is however not quite as easy. Instead of getting paid directly on AppCoiner it seems like you have to write a review of an app, that will then be posted on a standardized website. The idea is then that this website will attract traffic, and you will get paid, if the people coming to your website clicks the ads on the content you have written. This is however very different from what you are told. This for example mean that you will not automatically be paid when you have written a review, as the sales page kind of promises. You will only get paid, if people come to the site. And you would need a lot of traffic coming to that site to make any real money. And traffic is not so easy to get. It takes a lot of time and effort or a big budget, and you are told nothing about this before you join. This is nothing at all like getting paid for giving feedback on for example survey sites, and it is not at all what you are told before joining. On the sales page you can see a calculator that is supposed to give you an idea about how much you can earn on AppCoiner. The earnings calculator is very misleading. I have seen similar calculators on a site like for example PaidSurveysAtHome, where you are also not at first told you actually have to pay to join. The problem about a calculator like this is that it can be very misleading. It gives you the impression that it will be very easy and fast to make money, but there is no guarantee you for example will get this amount per survey the calculator shows. This clearly shows that you should not at all take this calculator and the potential this shows into consideration. 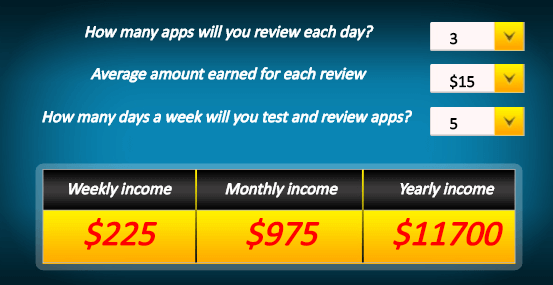 You are explained that app developers need to get reviews to be found, and therefore you can get paid to do this. It is true that getting reviews are important for developers and can help them be found. But it would be very risky for them to pay for this, and it is therefore not likely an app offering this would be allowed very long. A man in Italy was for example sentenced to jail for selling fake reviews, and review sites in general do what they can to avoid this. So the idea itself is not sustainable. But as I have also showed, this is actually also not what you will get access to, as you just have to post reviews on a standardized website, where it will be very difficult to get traffic and earnings. The last big warning sign I want to address here is the fact that you have to give your email in a box where it looks like you are joining and getting a membership. The initial sign-up box will just take you to a big sales pitch. This is NOT a joining box, but just a way to get your email, and after this you can then see it will cost money to join. If you are used to joining legit survey and feedback sites, you will very likely think that after you put in your email, you will get access to the members area – I know, I expected this. This is just not what is happening – this is in my opinion a sneaky trick and a big warning sign. If it really was such a great and easy way to make money, would there then not be more transparency? Can you make money with AppCoiner? So is it possible to actually make money with AppCoiner? In theory, you could earn money by having a website with reviews and generating leads through affiliate marketing and ads. It is definitely a real way to make money and it is legit. BUT it will not be as easy as AppCoiner claims. And I highly doubt AppCoiner’s approach will help you earn much. Even if it did, all the reviews you write are owned by somebody else, and they could at any time close or down take your reviews away. So it would be a risky approach. There are however several positive AppCoiner reviews online that claim it is as easy as the sales page does. Be careful about blindly believing these. The way some people make money on AppCoiner is by promoting it. It offers commissions to people that promote it and get people to join. Therefore some people are willing to say what it takes to get you to join and earn a commission. I am not saying all positive reviews of AppCoiner are fake. I am just saying to take a closer look at them before believing them. The ones I have seen are more or less just repeating what the sales page are saying without any nuances and without giving you the full info. Be aware that the reason for this might be that they get paid, if they get you to join. So is AppCoiner then legit or a scam? Well, let’s sum up the pros and cons to give you a better overview before you decide this. I am honestly not impressed with AppCoiner after having looked into what it really offers. I do not know, if I as such will call it a scam, as it in theory is a way to make money online. I do however think it is very unclear what you will actually get, the sales tricks used are giving you a wrong impression, and overall I do not think AppCoiner will be a good place to make money online, and it is therefore definitely NOT a site I recommend. 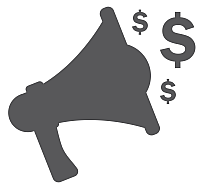 If you want to make money by sharing your opinion online, it is easy and free to get started on all the best survey sites. You can for example check out a list of the best survey sites in your country here. If you are more interested in trying to create a full-time income by creating an online business and for example learning affiliate marketing properly instead of through AppCoiner, you can check out my guide about how to make a full-time income online here. If you have any comments, questions, or have any experiences with AppCoiner yourself, I would love to hear from you in a comment below. AppCoiner offers something very different from what you are initially told. In addition to this you are not told you have to pay to join, until after you have given your email. In general it is NOT a site I recommend.